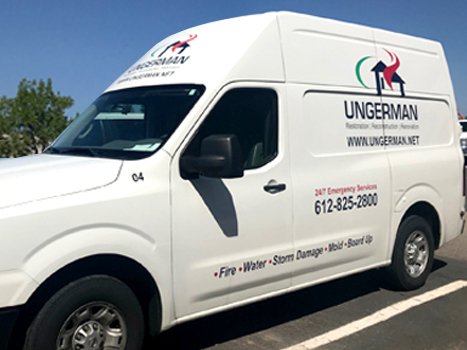 Emergency Clean Up & Mitigation Available 24/7/365 | Ungerman, Inc.
UNGERMAN is a full-service mitigation and restoration company that provides around-the-clock emergency services for property damage. We are ready to dispatch a disaster response team to your residential or commercial property 24/7/365. This immediate response will help prevent bad situations from getting worse. 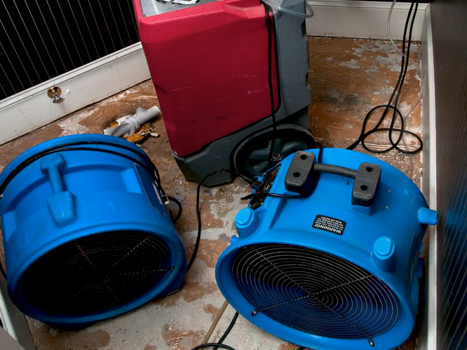 WATER DAMAGE: Drying flooring, ceilings, walls, cabinetry, and any other related structure to minimize further damage. WATER EXTRACTION, DRY OUT, CLEANUP: Water will be removed from hard surfaces and carpeting using specialized equipment. BOARD-UP, STORM, FIRE, VEHICLE DAMAGE: Occurs after a disaster where windows, doors, or openings have been compromised and need to be secured and weather protected. BURST PIPE REPAIR: We’ll fix your burst pipes safely and efficiently. CONTENT PACK-OUTS: If relocation is required during your damage repairs, we’ll provide either on-site storage for easy accessibility or your personal property will be inventoried and stored in our secure and heated off-site facility. TEMPORARY POWER AND HEAT: Electrical power and heat can be restored to the site. If the damage is too severe, we’ll bring in auxiliary power and heat. TEMPORARY ROOF COVER: Roof damage will be covered to prevent further water intrusion into the interior of your property. DEODORIZATION: Fire damage can cause unpleasant odors and some contents might need specialized cleaning. We’ll remove or correct any remaining odors by properly sealing the affected areas. SEWAGE BACKUP CLEANING, SEWAGE CLEANUP: Cleaning sewage is a dirty job, and we’ll gladly take on the task for you.  In addition to our emergency services, UNGERMAN works with many insurance companies and management companies. We will use our extensive expertise to work directly with the insurance company as well as guide you through the complicated claims process. If you need any of our emergency services, call us at 612-825-2800 in the Twin Cities or 320-443-3008 in St. Cloud.